With increasing incidence of Autism and growing awareness, a number of special school or Autism school for children with special needs have opened all over India. While there are many special schools in India, not all are same in terms of their approach, facilities and teachers. Therefore If you want your child to have the best care possible, you must know what to look for in an autism school in India that is best suited to his or her requirements. 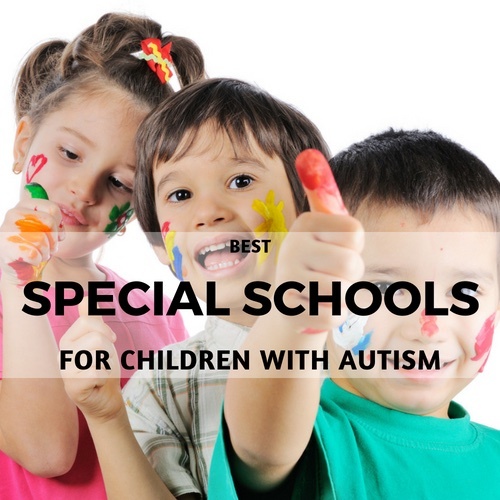 2 Why you need Special School for Children with ASD? 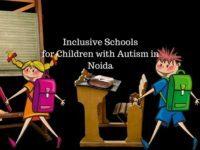 Here, we will have a look at some of the best autism schools in India that are inclusive of children with ASD and are doing their best to integrate such children with the rest. However, before we share the list with you, here is what to expect for your child. 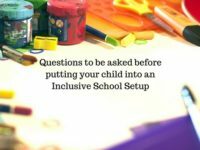 Why you need Special School for Children with ASD? Various studies show that children with ASD often have trouble learning motor skills, as they tend to stick to rigid behaviours and repetitive motor actions. They also have difficulty following instructions. They may have trouble understanding classroom rules or don’t know how to behave. These experiences underline the need for community-based inclusivity programs and the importance intervention and supervision by skilled teachers and caregivers. In a child’s life, family and school is their first introduction to the society. Teachers play a vital role in a child’s life. When teaching children with ASD, teachers must adopt methods that can make learning and socialization easier for them. With growing awareness and more inclusive approaches, here are some schools in India that have earned a reputation for being among the best for children with autism. We have covered here some of the best organizations for special childs, so that it would be easier for you to pick the most suitable one to serve the needs of your child and adult. From speech therapy to music therapy, these organizations are using various methods to bring a behavioural change and are doing some amazing work in this field that normal children do. Asha hai is a an inclusive school for special children. They have specially trained staff and Monstessorians who make sure that all their pupils have equal participation in group activities, social interactions, and the advantages of a competitive learning environment. Their integrated approach focuses on mainstream schooling, developmental therapy, dance movement therapy, special Montessori curriculum and also the use of home based plans. Asha Hai involves parents in their kids’ education with regular parent meetings. They ensure that children learn how to adapt to new environments and acquire necessary life skills. Asha Hai stresses the importance of early intervention. You can visit their website here. 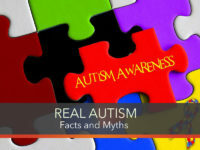 Action for Autism is a well known and much awarded non-profit organization in New Delhi. They have an integrated education system for children with autism, which focuses on helping children of 3-17 years learn to the best of their abilities. The educational program focuses on all aspects like communication, social understanding, play and leisure and self care. The activities are highly experimental, and encourage student participation. They also have a residential facility in Gurgaon. Action for Autism has special programs for children from disadvantaged background. There is also an early intervention program that prepares children with autism for school. The organization also has individualized programs, and programs for outstation children and parents. You can visit their website here. The Autism Centre for Excellence has a good reputation for being one of the best schools in Gurgaon. It offers one-on-one services to children with ASD. ACE accepts children of 2-17 years with varying abilities. Ace aims to provide children with necessary behavioral, academic and linguistic skills that helps them integrate with the mainstream easily. It also provides teacher-training courses, and aims to establish a full-scale vocational program with job opportunities for people on the autism spectrum. You can visit their website here. Tamana is a Gurgaon-based institution registered under the National Trust, Ministry of Social Justice & Empowerment, Govt. of India, New Delhi. It offers individual learning programs for each student. They stress on vocational training, as that is an integral part of self-sufficiency. Tamana also has a night-stay program, which aims at making children less dependent on parents. Tamana also focuses on socialization with non-disabled peers- an important area of social communication and vital for self-sufficiency. They also have a teacher exchange program, through which students can learn from trainers coming from abroad. This way, they can learn about new cultures, explore more opportunities and keep up to date with latest technologies and learning methods. You can visit their website here. Sunrise Learning School is located in Noida. They believe that more emphasis should be placed on interactive play, which makes learning fun and easier. They offer a number of courses and individualized education programs. Sunrise also has special programs for parents and caregivers. They are known for their pre-vocational and vocational courses. Sunrise also has a special sports academy that gives Special Olympics training, which inculcates sportsmanship, physical fitness and confidence in children. You can visit their website here. Located in Navi Mumbai, La Casa also caters to the needs of children with other developmental disorders like dyslexia and global development disorder. Their curriculum is designed to ensure academic, emotional and social growth of their pupils. The curriculum focuses on acquiring skills through progressive competitive approach. La Casa has an integrated approach towards their pupils, and include music and art therapy sessions that help improve their self esteem, encourage social interaction and group participation. Structured play sessions help the kids develop behavioral skills. You can view their website here. Part of the global Gateway Schools network, the Mumbai chapter is located right at the centre of the city. Gateway school takes in children of 5-18 years. They focus on creating an enabling environment, as it is often an overlooked factor in school curriculum. With the help of international partners and educators, Gateway School aims to prepare their students to take the International General Certificate of Secondary Education (IGCSE) of Cambridge University Examinations Board (UK) and National Institute of Open Schooling (NIOS) (India). Each student has their own educational plan. Gateway School focuses on one-on-one training. Apart from that, they also offer after-school remedial courses and extra-curricular programs. You can visit their website here. Since 1998, Priyanj Special School has been offering help to children with ASD. Located in Goregaon, Priyanj Special School offers many teaching courses. They also offer special computer training for children with ASD, which is an essential skill today. Priyanj Special school follows the National Open School(NOS) curriculum. They aim for making the children capable for mainstream education, social communication, self-care and vocational training. You can visit their website here. Podar Khushi Kids is part of the Podar Educational Network. This is an integrated kindergarten program run in coordination with New Horizons Child Development Centre (NHDC). The program caters to children from 2-8 years of age. The class comprises all kinds of children, which helps with mainstreaming special children and encourages social communication. The program is present in Andheri and Parel, and the school wants to make it available in all Podar schools in Mumbai. Podar Khushi Kids focuses on behavioral therapy, remedial education and other relevant training. You can visit their website here. Located in Matunga, Child Raise Trust focuses on rehabilitation of children with special needs. They also have special programs for adults with autism, where they are given vocational training. Child Raise Trust’s customized educational plan is available for children 3-18 years of age. They also provide a number of special courses for teachers, educators, parents, caregivers and others related to providing education for children with ASD. You can visit their website here. 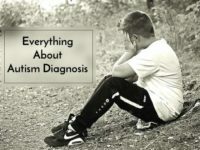 Ummed aims on other developmental disorders including ASD. Through their strong expertise, early intervention, capacity building, advocacy and research, they have been bringing a positive light in the lives of the kids. You can visit their website here. Bubbles is a well known school in Bangalore. Bubbles Centre for Autism provides educational and developmental programmes for children in the Autism spectrum. They offer a variety of programs. Their curriculum not only includes necessary linguistic and academic programs, they also have many extra-curricular activities including art and theatre. These not only help children learn better, but also gives them an avenue to express themselves. The unique program of Bubbles is the inclusion of cooking classes. Students are taught how to cook and they later enjoy what they have created. The classroom lunches give them a community feeling. You can visit their website here. Academy for Severe Handicaps and Autism or ASHA provides education along with a comprehensive set of therapies to individuals with autism spectrum disorders. With a student: teacher ratio of 2:1, ASHA tries to make education more effective. Each child is also a part of group sessions and circle time where social skills are developed. ASHA also provides therapies such as Yoga, Arts based Therapy, Technology Intervention, Speech Therapy and Occupational and Physio Therapy. You can visit their website here. Part of the Baldwin Schools network, Baldwin Opportunity School focuses on children with special needs. It is an extension of the Baldwin Girls’ High School and a Unit of Baldwin Methodist Education Society. Baldwin Opportunity School is for children who are Intellectually Challenged in the mild and moderate category. The classes are divided into Pre-Primary, Primary, Intermediate, Senior I, Senior II, Learning Lab, Home Maker’s Class and Pre-Vocational Unit. They also provide opportunity for the students who graduate from the opportunity school to be trained as Teacher Aide to assist the Teacher in classroom activities. You can visit the website for Baldwin Girls’ High School here. Apoorva Centre for Autism is run by Society for Autistics in India(SAI). It is registered under National Trust. Apoorva caters to children between 2-18 years of age, and offers educational courses benefiting particular age groups. They also provide vocational training, and organize several workshops and trips for parents and children. You can visit their website here. 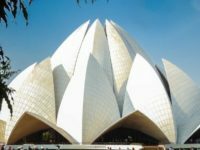 Two ladies from the US, Now residing in India, connected on a social networking website and started a non-profit organization.Whose only objective was to aim at improving lives of children with special needs through yoga. Prafull Oorja has made partnership with various schools and organizations where they teach Yoga. They give two weekly yoga classes for about 50 special needs’ children at Tamahar Trust for Children with Special Needs. Classes include asana, pranayama, mantra, mudra and meditation, depending on the children’s physical and emotional levels. You can visit their website here. Sparsh has various centres in Hyderabad and Andhra Pradesh and Telangana. It is multi-service school that provides educational, therapeutic and recreational services for children with special needs thereby fostering their physical, educational, emotional and social development and thus enabling them to play, learn, live and function in the real world. Sparsh offers a number of trainings and courses. They believe in goals-directed action plans, and provide each student with their individualized education plans. The Sparsh team comprises highly trained professionals who specialize in dealing with ASD, Downs Syndrome, neurodevelopmental Disorder (Intellectual Disability (ID), and Attention deficit hyperactive Disorder (ADHD). You can visit their website here. DCCA Hyderabad are the first schools for children with Autism in twin cities exclusively using Applied Behaviour Analysis (ABA) and VB or Verbal Behaviour, which are the only comprehensive treatments for Autism proven through rigorous scientific research to be effective. Apart from providing behavorial, occupational and Speech therapy, DCCA also provides special pediatric physiotherapy. Their Special Education programs are designed for those students who are intellectually, physically, socially and/or emotionally delayed. You can visit their website here. Smiles Special School and Therapy Centre is part of the Smiles Foundation. Along with their associates, they focus on providing long-term teaching and care for autistic children. They also have special after-school activities. Apart from speech therapy and physical therapy, they also provide life skills and social skills training. You can visit their website here. Butterfly Therapy Center is a private occupational therapy clinic. BTC provides treatment for a broad range of child developmental challenges including: motor incoordination; sensory-motor dysfunction; behavioral dysfunction; ADHD; ADD; Cerebral Palsy; and, Autism Spectrum Disorders. Care4Autism Society is a non-profit centre for individuals with autism spectrum disorder (ASD). The Centre’s primary mission is to provide children with autism an intensive comprehensive educational program based on the scientifically validated procedures. Care4Autism Society also has other intervention programs like home, relatives’ homes and community, because what happens in these settings also have major influences on a child’s life. You can visit their website here. 20. Autism Society of Andhra Pradesh (ASAP) – Hyderabad. ASAP, It’s a non profit organization which was started to help families and children on the Autism spectrum. They offer a large number of services including Psychological Assessments & Diagnosis too. Early Intervention, Speech Therapy, Occupational Therapy, Behaviour Modification, Sensory Integration, Music Therapy, Group Therapy and so on to cater to the needs of the ASD children. SHRUTI is the first of its kind school in eastern India. Shruti is organised by a group of professionals who belong to the field of Audiology & Speech Language Pathology. SHRUTI identifies as a “rehab centre” and specializes in slow learners, children with low IQs and late speakers. They provide occupational therapy and behavioral modification therapy, along with special education. They favour a multi-disciplinary approach to teach and assess special needs children. SHRUTI has regular assessment sessions every 3 months. You can visit their website here. Registered under the National Trust, Ministry of Social Justice & Empowerment, Govt. of India, New Delhi, Alokdhara is an inclusive Montessori school that provides children over two years of age with necessary therapy and skills-building abilities. Alokdhara is a part of Parent Circle Time Autism Identified [PACTAI], a non-profit organization formed in 2008. The school not only focuses on special education, but also gives their students training in everyday, practical fields like money management, survival skills, cooking, crafting, daily life skills and identifying private and social boudaries on reaching adolescence. You can visit their website here. Kolkata’s Mother and Child School is famous for its associated restaurant, which is run by children with special needs. Mother and Child School is a fully equipped school with many facilities and staff. They provide specialized therapies including Speech Therapy, Physiotherapy, Computer Therapy, Pet Therapy (with Dogs & Horses), Vocational Therapy, Occupational Therapy, Yoga & Meditation and more. They are also in the process to TIE-UP / Associate with Open School Boards, like NOS and others, to enable children enhance their IQ as well as get prepared to give examination. You can visit their website here. Pradip Centre for Autism Management believes in keeping up to date with latest research and using innovation while teaching their pupils. They offer various courses, including short term autism management courses. Pradip Centre for Autism also offers pre-vocational training and vocational rehabilitation. It is registered uner the National Trust. You can visit their website here. Kalpana Integrated School for Special Children caters to the needs of children of pre-school age to class IV. They aim to integrate children into mainstream schooling. Kalpana Integrated School for Special Children believes in the one-on-one teaching system, the benefits of which are noticeable. They pay special attention to language development, which is crucial for learning and social communication. You can visist their website here. Vatsalyam Centre for Autism has a daycare centre for autistic children. The train children with special Montessori methods so that they inculcate curiosity, and learn to explore new concepts and environments on their own. Vatsalyam is open for regular school going children also. Individual care will be taken for each child to attain their highest goals. Regular school going children have been benefited through this special program. You can visit their website here. The Government of Tamil Nadu formally recognized Swabodhini School for Children with Special Needs in the year 2006. Apart from providing special education and training, Swabodhini also provides speech therapy and occupational therapy services. The school is managed by Swabodhini Charitable Trust, which is registered under Section 12Aa of the Income Tax act. You can visit their website here. The Sankalp Open School provides an environment where students learn both academics and life-skills based on their individual achievement levels. 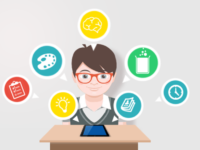 The full time students can appear as private candidates for the National Institute of Open Schooling (NIOS) Secondary or Higher Secondary Examination. The students are also trained in Public Speaking,Thinking Skills and Time management. Experts in the fields of Management, Education, Communication, Fine Arts and other subjects are invited to conduct workshops and interact with the students on a regular basis. You can visit their website here. We CAN was the first Centre in Tamil Nadu to provide services exclusively geared for children with autism. We CAN claims being the only Centre in Chennai with therapists using the principles of (ABA) Applied Behavior Analysis, a scientific and evidence based methodology of intervention. We CAN also has special modules for out-of-Chennai students. You can visith their website here. Chrysalis, a centre for special needs was founded by Roshinipriya Charitable Trust in June 2007. The centre specializes in identifying children with special needs, with core focus being Autism and provide services to improve the quality of life, for individuals of all ages. Dawn School in Pune caters to needs of children of 3-18 years of age. Apart from providing speech, behavioral, sensory integration and pre-vocational therapy, they also provide OPD care for children. They also encourage their students to participate in various inter-school activities and competition. Dawn School regularly organizes night outs for their pupils, which crucial for gauging progress and developing self-sufficiency away from parents. You can visit their website here. Prasanna Autism Centre runs under Padmpurush Foundation, a Public Charitable Trust. The Centre provides full time services to children between 3 to 13 years of age and pre-vocational training for children between 14 to 17 years of age. Prasanna Autism Centre provides one-on-one training. Children can be admitted throughout the year. They have special outreach programs for mothers of autistic children. You can visit their website here. Saiyam Autism Centre offers Occupational Therapy, Speech Therapy, Behavior Therapy and Special Education for children with ASD. Children are taught how to make things independently and do activities that can help them in the future to sustain a living. You can visit their website here. Amrit Centre for Special Needs is run by “The Society for the Aid of Handicapped Children”, a voluntary organization that has been in existence for over 50 years. A reputed institution, Amrit Centre for Special Needs has seen several of its students participate in Special Olympics and win medals. Apart from providing special education and therapy, they also provide vocational training for adolescents. They also have an adult activity centre. You can visit their website here. You Can has Many facilities under one roof. It is is recognized by The State government of Tamil Nadu. At Present, this center provides Speech Therapy, Occupational Therapy, Behavioral Therapy, Diet regulations & Floortime therapy for children with disabilities. This is provided in one on one basis and children gain skills like self-help, toileting, speech, communications and overcome behavioral problems like pinching, spitting, hand flapping, spinning, head banging and other self-injurious behaviors. You can visit their website here. Shivesh Autism Centre offers Occupational therapy, Special Education, Speech therapy, and counseling for parents. The activities given for the children are group therapy, sensorial activities, yoga, play, music, dance, arts and crafts and sensory integration therapy. They also provide hydro therapy, Audio and video therapy, yoga, play, music, dance, arts and crafts and SI therapy. You can visit their website here. Kaumaram Prashanthi Academy is run by Kaumaram Prashanthi Trust, (formerly Sri Prashanthi Academy). It is a school for children with different abilities (intellectual disabilities). Apart from offering special education, Kaumaram Prashanthi Academy also provides training for young adults above 21 years of age. They are working towards including some of their students in regular/mainstream schools. A set of students are also being trained to appear for the Start Board exams. You can visit their website here. Third eye, a unit of Sharanalayam is a charitable Not For Profit Organization recognized by the government of Tamil Nadu. They claim to be the only center to offer ABA therapy by a board certified assistant behavior analyst. Third Eye specializes in providing ABA therapy, and aims to integrate children with special needs in mainstream schooling environment. You can visit their website here. SNM’s Autism Centre is Rajasthan’s first rehabilitate and research centre for autistic individuals, providing holistic services under one roof – a special school, sensory integration clinic, early intervention centre, diagnostic centre, research cell and an outreach cell. You can visit their website here. This organization works with autistic kids and focuses on early intervention.It focuses at improving communication skills, cognitive skills, social skills . They teach them through various therapies like music therapy, play therapy, special education, hydrotherapy and many other types of training, Adarsh Charitable Trust is trying to bring a significant change in the lives of the autistic kids. you can visit their website here. Darpan school provides holistic development to autistic kids. From assessment and diagnosis to speech and occupational therapy and even parents counselling, Darpan covers so many rounds needed for the all around development of AsD children. Tanay Foundation was started with an aim to provide world-class education and training to autistic kids. They also provide pre-vocational and vocational training to children. They have experienced staffs who conduct exercises and provide speech and occupational therapy to the kids, the foundation is trying to make life easier and better for autistic children. you can visit their website here. Centre for Autism Therapy, Counselling and Help (CATCH) is a small group that is run by parents to keep in touch with families of other autistic children and adults. It is a kind of voluntary initiative where parents share their experiences and children are taught various life skills to lead a successful life. You can visit their website here.